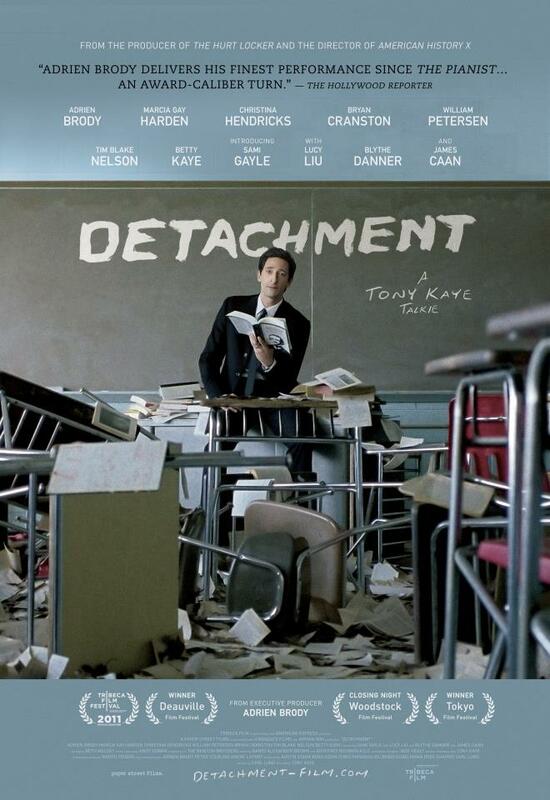 Here's three new clips from Tribeca Films' DETACHMENT. This intense drama is directed by Tony Kaye (American History X) and stars Adrien Brody, Marcia Gay Harden, Christina Hendricks, Bryan Cranston, William Petersen, Tim Blake Nelson, Betty Kaye, Sami Gayle, Lucy Liu, Blythe Danner, James Caanis and is now available via Movies On Demand from your local cable provider, iTunes, Amazon Watch Instantly, VUDU and more, and opens theatrically in select cities beginning March 16th. 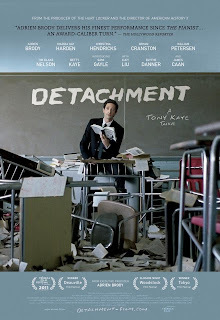 Academy Award® winner Adrien Brody stars as Henry Barthes, a substitute teacher who conveniently avoids any emotional connections by never staying anywhere long enough to form a bond with either his students or colleagues. A lost soul grappling with a troubled past, Henry finds himself at a public school where an apathetic student body has created a frustrated, burned-out administration. Inadvertently becoming a role model to his students, while also bonding with a runaway teen who is just as lost as he is, Henry finds that he’s not alone in a life and death struggle to find beauty in a seemingly vicious and loveless world.